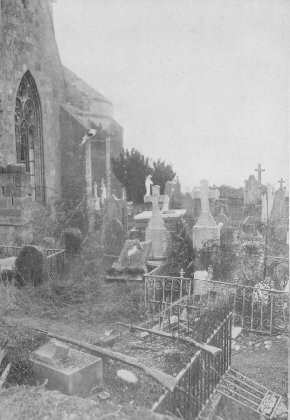 Desecrated cemetery, Dun-sur-Meuse, and a portion of damaged church. Two German rifles are evidence that they were sniping from here. 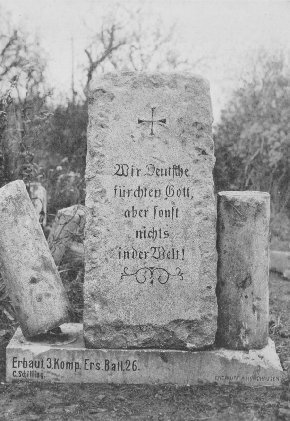 Tablet of granite with the following German saying: "We Germans fear God, but nothing else in the world." Mont Sec, October 22, 1918.